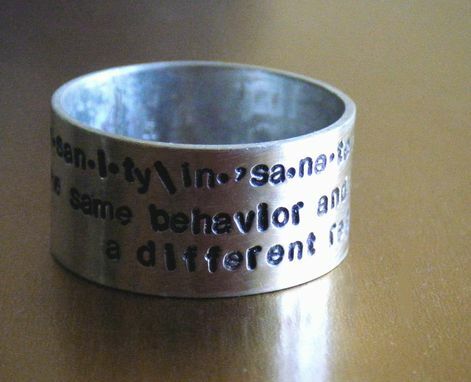 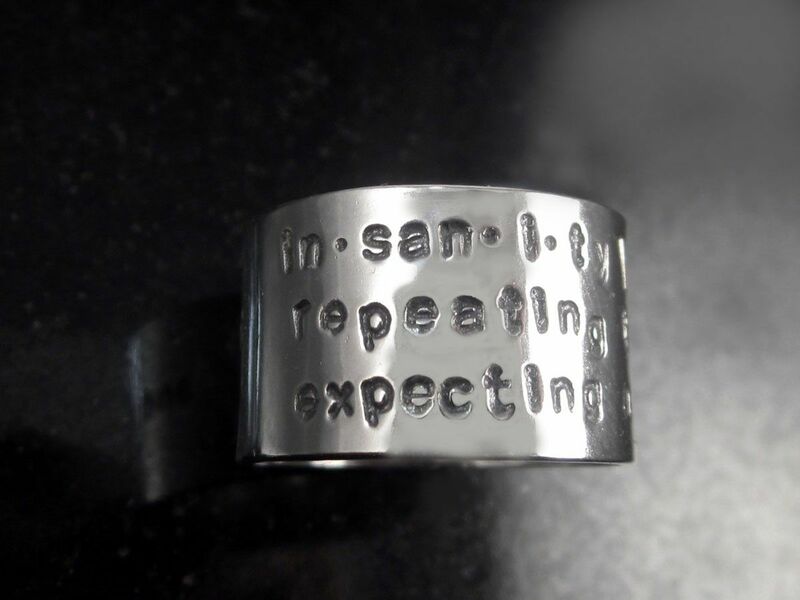 Arguably attributed to one of the greatest minds in history, the quotation inscribed on this custom ring serves as a reminder to change things up, especially when said things hardly go your way. 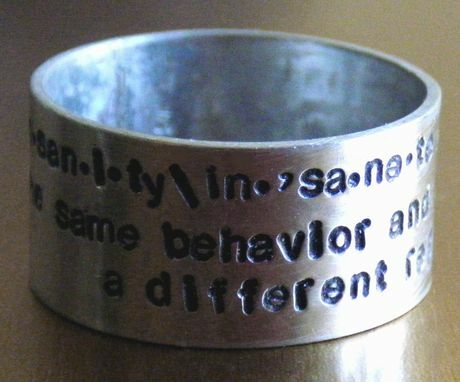 Oh, and it's supposed to be one of the most quoted definitions for "insanity,'' too. The hand-stamped inscription looks just lovely on the wide sterling silver band polished to a mirror finish. 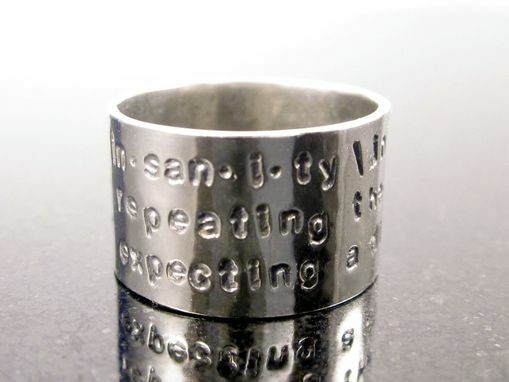 You can also have your choice of words inscribed on the base piece.